Every team that has fundraised through a token in the last 5 years has signed up for an experiment in fundraising, cash flow generation (or lack thereof), and treasury management. And there’s a big problem they would all be wise to consider. These teams are almost universally sitting on a huge war chest, consisting of both the funds they raised and their own tokens. Capital is the last thing they are worried about right now — and perhaps with good reason given how much else there is going on. Because they are so flush with cash, little thought is being given to what their capital and cash flow situation looks like long term. After all, these teams have exited before they started. They got their one real shot to get money in the door and now that’s it. Possibly for life. I’ve talked to a lot of teams about this. The standard answer I receive is that the plan for the project is to continue to hold a nontrivial quantity of the token. As adoption occurs, the token price will go up and the project will have more capital to fund development. This answer fails to recognize an important and troubling problem that will play out for any project relying on that model. In order to explain this problem, I’ll need to take you to the relatively boring world of bonds. Bear with me. The straight line is something called duration. The curved line is something called convexity. If you don’t know what I’m saying stick with me — this is going to be way less complicated than any white paper you’ve ever read. There’s this concept in bond markets called convexity. Each bond has several different properties. Like all loans, a bond will have a maturity and an interest rate. 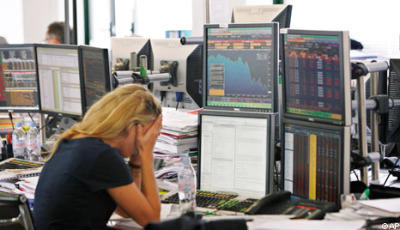 Because bonds are also traded in secondary markets, they also, naturally, have prices. Those prices reflect whether the market thinks the bond has become more or less risky since it was issued. I take out a loan from you for $100 on which I pay a 10% annual interest rate for 10 years. I then get a big raise at work, causing my credit score to go up. Today, if I were to take out the same loan from you, I would be able to do it at just a 5% interest rate! This new, implied interest rate is what is called the yield. This lower credit risk gets reflected in a higher price for the bond you hold. The bond is now worth about $105. Yield goes down, price goes up. So there’s this relationship between the yield and the price (and a handful of other factors). The relationship between the price and the yield largely gets captured by the something called the duration of the bond, or the change in dollar value per unit move in the yield. But duration plots a linear relationship between the two — glossing over a very important and more subtle dynamic at play. Enter convexity. Convexity is the second derivative. 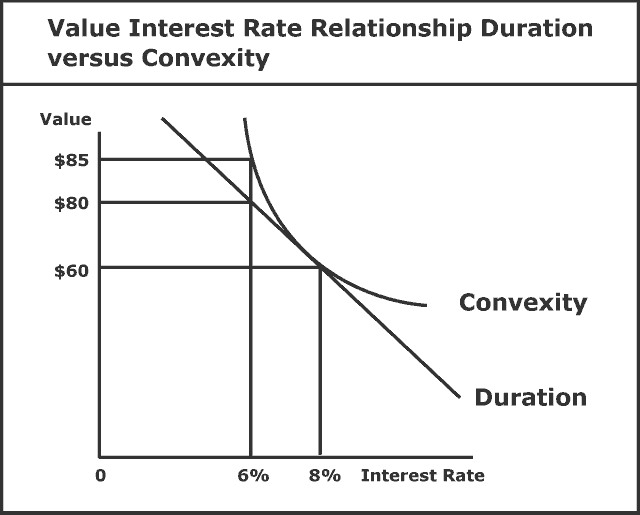 While duration is the relationship between yield and price, convexity is the relationship between yield and duration. If a bond has positive convexity, the bond will experience larger and larger price increases as the yield falls. Conversely, as yields rise, the bond will experience smaller and smaller price drops. Put simply, if you are long convexity, your risky exposure increases as the market moves in your direction and decreases as it move against you (yay!). If you are short convexity, you become less exposed as the market moves favorably and you become more exposed as it moves the wrong direction (uh oh). Here’s the problem: right now, token projects — despite their talk of antifragility (another word for convexity) — are all short convexity in their overall business models. Remember: the whole idea is that they will use the vast sums of their own token to fund the project over the long term. Even as their tokens go up in value, they will inevitably have to sell some on the market to actually deploy that capital. They will be less and less exposed as the market moves in their favor. And what about if things don’t quite go as planned? Projects may find that the most prudent thing to do in a downturn is to sit on their tokens rather than try to sell them into an illiquid and unfavorable market. They may even find themselves supporting the market for their token, buying some back from the open market. They will maintain or gain exposure as the market moves against them. The takeaway: we need to start thinking about ways for these projects to get long convexity. If you are an investor, especially of the venture capital variety who is playing the long game, this should be all you are thinking about. If you are a founder, you should be considering options for long term, sustainable, and convex funding for your project.